Petter Northug, once the unbeatable “bad boy” of Norwegian skiing, is having a terrible season so far. A mysterious ailment has forced him to drop out of most all World Cup races and now he won’t be skiing in the tough Tour de Ski after Christmas either. “It irritates me that I won’t be able to take part in Tour de Ski,” Northug said after the national skiing federation confirmed his looming absence on Thursday. Northug has raced in the Tour de Ski every year since it started in the 2006-2007 season, and won it as well, but he’s simply not in good enough shape to compete this year. 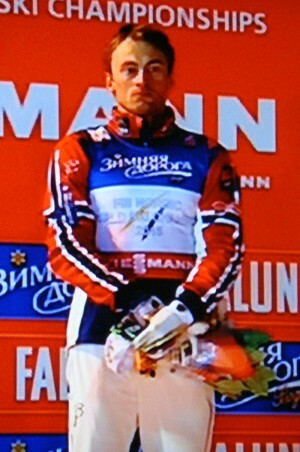 “Petter is now doing some light training, but the Tour came too early,” his coach Stig Rune Kveen told news bureau NTB. “We hope and think he can be back in normal training soon.” Northug’s goal now is to be in good enough shape to compete in the World Championships in Lahti in February. That’s by no means assured. Northug has been the target of questions and speculation since he first performed surprisingly poorly at Norway’s season opener at Beitostølen. Then he chose to sit out the World Cup opening in Finland a week later. He tried to compete at the next World Cup competition in Lillehammer earlier this month, but that proved to be another downturn and he went home early. As of last week, he hadn’t skied a single meter since the Lillehammer fiasco. He was not part of the team that headed for the last weekend’s World Cup races at La Clusaz in France. Instead, the 30-year-old skiing star was undergoing a full medical examination, but nothing indicates he’s ill. The general consensus is that he over-trained at high altitude before the season started, and that’s come back to haunt him. As late as last week, his coach Kveen claimed they were still counting on him being back for the Tour de Ski, but now that’s been dropped, too. The local newspaper where Northug lives in Trøndelag, Trønder-Avisa, reported in mid-December that Northug is so desperate to race well again, and find answers as to why that’s not happening, that he visited a local healer who’s famous nationwide in Norway, Joralf Gjerstad, better known as “Snåsamannen.” Gjerstad lives in Snåsa in Trøndelag and receives visitors from all over the country even though he’s now an elderly man who can’t offer his help like he used to do. “Petter came here to have a good conversation with me,” Gjerstad told Trønder-Avisa. “He’s had some problems in ski races again. Petter said that he felt more revived while he talked with me.” Northug has visited Gjerstad on earlier occasions as well. Gjerstad wasn’t able to help Northug get in shape in time for the Tour de Ski, though. In the worst case scenario, Northug’s entire season will be ruined.